The World is "abuzz" about what Apple will be doing on September 9. As what Business Insider noted below recently, it could be a blockbuster just on the iPhone as apparently an iWatch is finally going to be introduced. It will be fascinating to be witness to. 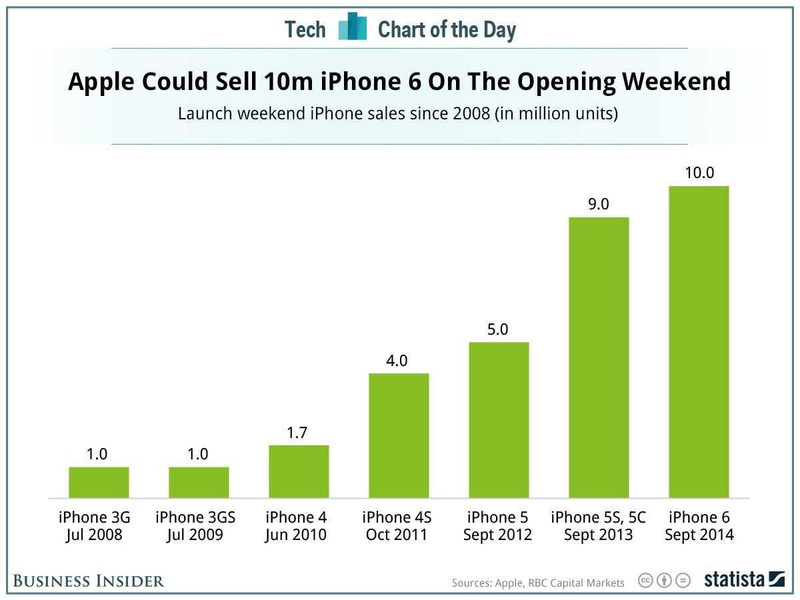 iPhone 6 units in its debut weekend alone.